The Incredibles is one of my favourite superhero movies, which focuses on a family of superheroes who are trying to adapt to normal everyday life out of the spotlight. This is until the father is enlisted on a secret mission and his whole family find out and have to come out of hiding to save him and the world from the evil super villain Syndrome. Frozone is one character from the movie who is a friend of Mr Incredible who often used to partner up with him on missions back in their hey day. He is able to freeze surfaces and create ice straight from his hands (if he is well hydrated). In today’s post we’ll be showing you how to put together a Frozone costume from the movie that will leave fellow fans awe struck. While this isn’t the most popular costume choice, it will stand out and be unique amongst a crowd of cosplayers but you’ll also be recognized as the character is well known. So without further ado let’s begin. 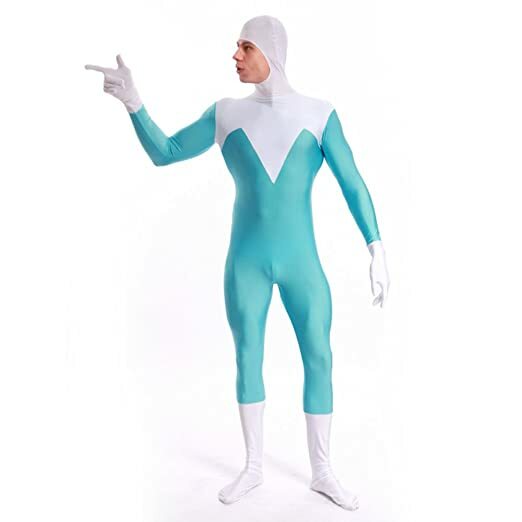 The first thing you’ll need is Frozone’s skin suit which is in the colours icy blue and white. Good thing there is a costume available for this made of spandex fabric as shown above. If you can get this set you could buy a light blue skin suit and a white skin suit and sew the two together in the right places to create one suit. Then add white gloves, goggles and boots. 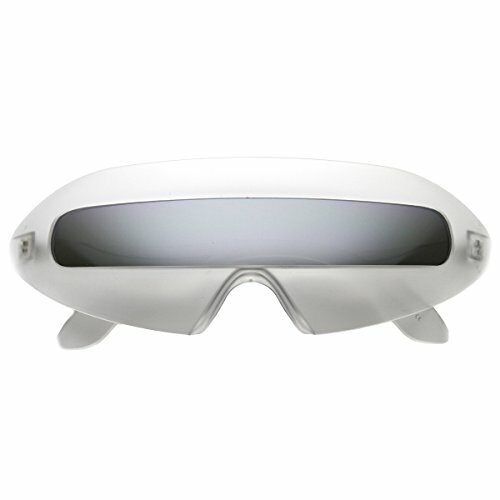 As I said above once your suit is in place you’ll need a pair of Frozone’s goggles, these white futuristic glasses will work perfectly for this. The last thing you’ll need is a pair of white superhero boots such as these ones. You could also find these at your local thrift store. There is everything you’ll need to transform into the character from The Incredibles. What’s great about this is you can bring friends along dressed as the other Incredibles characters, heck your whole family could come in tow. Before you leave don’t forget we have hundreds of other guides on the blog, also follow us on social media for updates whenever we publish new cosplay guides.